In a move that is sure to please gaming fans, US retailer MicroCenter have begun charging $10,000 USD per Radeon RX 580 for bulk orders. This is not just for giant 747-filling orders either, but those who buy 3 or more units. Those who are buying a single or two Radeon RX 580 will still be able to at the regular $349.99 price. The irony is that MicroCenter is most well-known for actually offering lower prices than most other retail stores. They offer massive discounts to processors and processor+motherboard combos, with the condition that it be purchased in-store. For example, they sell the Intel Core i7-7700K for only $299.99 if you buy it in person. MicroCenter is also one of the few remaining massive brick-and-mortar computer stores in the US. They even have branches in multiple states. Gamers are frustrated with the lack of supply brought on by GPU miners. With the supply lessened, the price of the ones that remain increase. This move by MicroCenter should make many gamers happy. It will also be interesting to see which retailers follow suit. 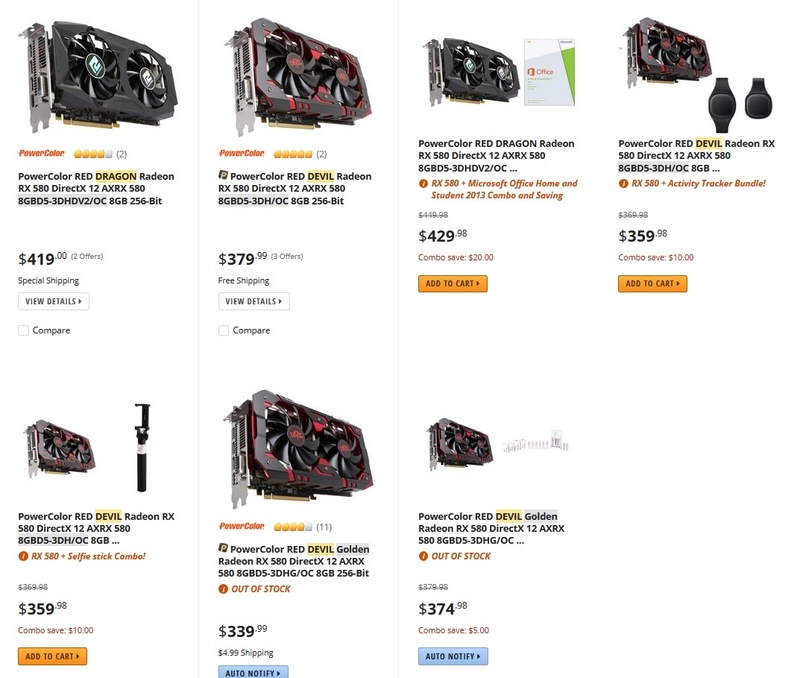 Retailers do not exactly want to discourage GPU miners since they profit and sell more either way. >Those who are buying a single or two Radeon RX 580 will still be able to at the *regular* $349.99 price. $350 ain’t “regular” for a 580 tho.